One of our founders designed the prototype of what is known as the CanSpam Act. 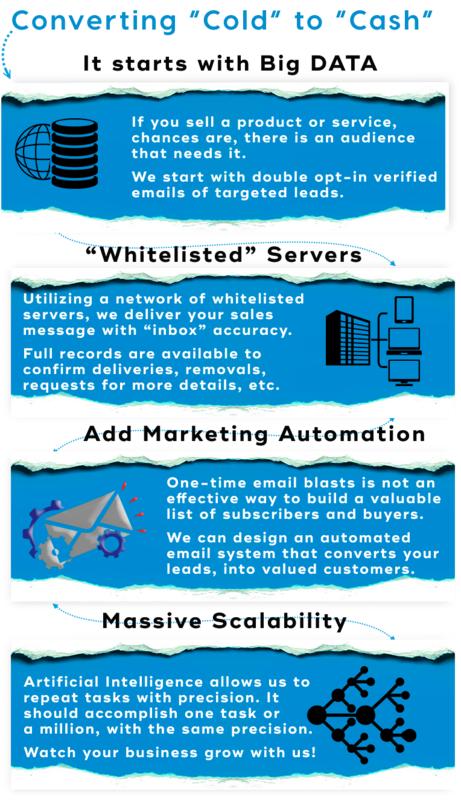 Our methods are the basis of virtually every successful email marketer in the U.S. I Want A Different Plan! We’ll custom-tailor a plan to fit your needs, and your budget. Get A Custom Quote Today!